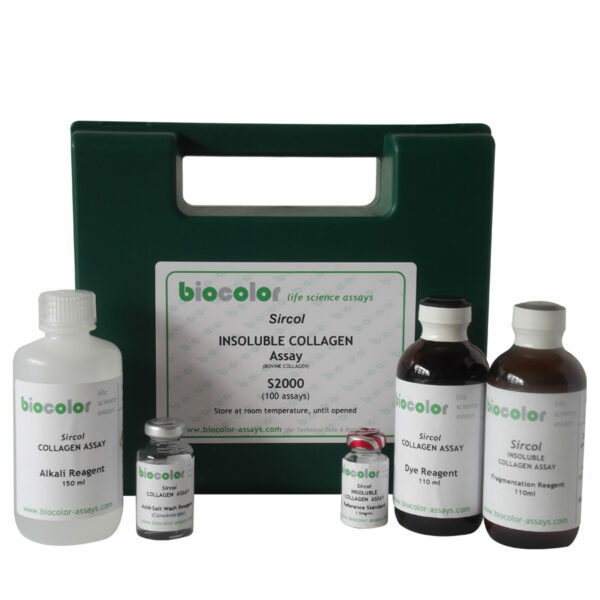 The Sircol™ INSOLUBLE Collagen Assay is a dye binding method for the analysis of insoluble collagen fibres. 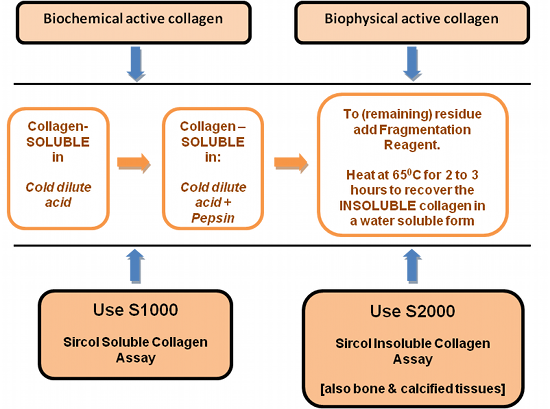 The assay can be used to assess the rate of production of newly laid down collagen fibres during periods of rapid growth, development, tissue repair, remodeling and wound healing. Sources of material includes tissues, bone and calcified tissue.